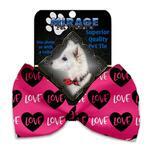 Keep your canine classy with the Pink Love Dog Bow Tie by Mirage. 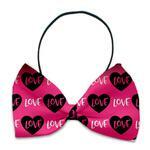 Elastic band fits necks from 10" - 19"
The Classic Love Dog Bow Tie is a great way to dress up your pet. 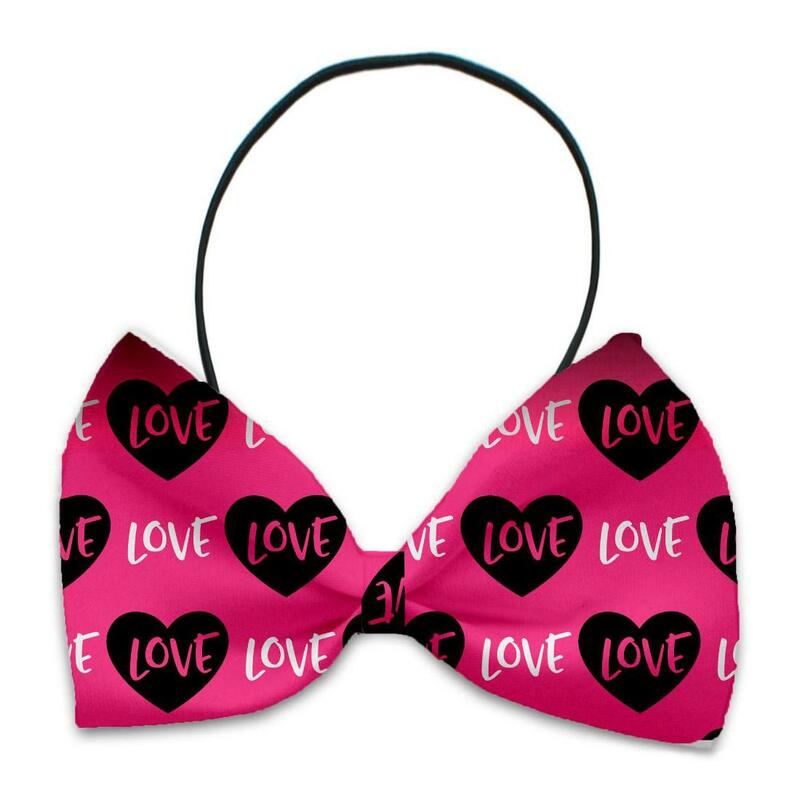 This fun dog bowtie is classy and ideal for Valentine's Day or any day you want to show off your love for your pet! This bow tie for dogs comes with a durable elastic band that will stretch to fit necks from 10" - 19". The bow itself is made from elegant silky polyester and measures 4" wide and 2-1/2" tall. Can be worn with or without a collar. For decorative wear only. Do not attach leash or use as a restraint. Great jacket for cool weather. Fast shipping and wonderful customer service.